The Vista Den is more of a cave. Its rather large on the inside, and it has a large stone at the very end of it. When you look out the view is beautiful, hence the name, Vista Den. Fiacre did not pressure the brute to speak further. Lowering her muzzle, she rested her cranium on the brute's lighter hued paws and looked out at the valley below. The need to speak did not seem pressing, she simply desired for the moment to drag out and never end. She felt the pressure of his snout in her fur, warming her pelt with his breaths. Over the faint sound of his breathing, she could hear the wind whispering to her, it's soft sighs twisting into words. It became a broken record, muttering on a cycle, it's words barely audible but Fiacre knew her voice. Within the depths of her heart it would always lie, waiting for her to acknowledge it, for a moment of doubt to bring it back, it would never be gone. Hush little magpie, save your sweet songs for your brute, the minute he turns on you the world you believe in will fall apart, shatter and you will be alone, the voice whispered into her ears, you belong to me, remember that. Not allowing her posture to change, she pretended she was not startled by it's sudden shift. The anger had been turned upon her, it now sought to fully control her rather than influence her with 'guidance'. Nuzzling up to his chest, a single orb remained fixed upon the valley below, watching the movements closely. Ross layed his head on top of Fiacre's back, keeping an eye out for Zanna. He really needed to speak wuth his first, and closest friend. 'But, will she understand? Will she remove Fia from our lives out of spite?' He asked himself, trying to tell himself she wasn't like that. "What should I tell Zanna?" He asked, to no one in particular. The femme's auds swiveled back at the sound of the brute's vocals, attempting to fully hear his words. "What are you attempting to tell Zanna" Fiacre asked, unsure if the question was even directed towards her. Zanna, Fiacre thought, such an odd name, who could this individual be? Perhaps the snow white wolf that had crossed Fiacre's path and snapped at her on various occasions. Fiacre knew she would never understand the little fae, the snow white wolf was ruled by emotions, acting hastily without thinking her actions through. The demoness did not know the little fae will but she already knew the little fae would be after her. Spin your games m'dear, I await to see you die, she thought, a coy smile playing at the corners of her mouth. Turning on your promise already, chided a voice. It was true, Fiacre had spun away from the path. Grinding her incisors down upon one another she glared at the woods, it seemed her desire to return to an average state would take longer than she anticipated. Tearing her gaze away from the woodlands, the femme shifted her cranium to look at the brute curiously. "Who is this Zanna you speak of?" She inquires. I must know the name of my next vict - no, she hissed in her thoughts, I shall not fall prey to this cycle once more. And then a white room, and someone forcing food in her mouth. She had been capture, but eventually, after her leg had healed, being broken and badly cut, they had let her go, on the rocky mountains. All packs there despised her, for one reason or another. One thought it a curse, her bi-colored eyes, and another thought that the paint over her right eye was a warning of some sort. Whatever the case, she was an outcast. The little cursed runt. 'Maybe they were right.' she whimpered inwardly. Padding over to a frozen over puddle, she peered at it, her strange reflection popping back at her, the green leaf-like print over her eye so apparent. 'Maybe it did curse me.' she turned away from the reflection. What had her family used to paint that on her? Demon paint? Witch cream? When she was born, had a witch doctor cursed her for her eyes? She had always wondered why they were like that. Her parents, perhaps? Her parents. Peering at the ice once more, she wondered what they had looked like. "Whuar ar ye, Maw?" she whispered. Whuar ar ye, Maw? : Where are you, Mom? Ross lifted his head at the bushes rustling. 'Zanna!' He thought immediately, scrambling to his paws. He ignored Fiacre's questions and raced into the woods where he saw a snowy tail disappear. "Zanna, Zanna!" He called, losing sight of her for a moment. Seeing his friend staring at a chip of ice, Ross tackled her and pinned her down. "Zanna, what has gotten into you?" He asked, getting off the female. "I need to talk to you." The male said, sitting down in front of his fellow leader. Yelping with surprise, the small female collided with her own reflection. Her nose pressed against the cold ice, she breathed out slowly, her breath fogging the ice and disappearing altogether all at once. The time had come. She had heard a familiar voice. It was time to hear what was destined to be heard, and see what she was destined to see. Her heart thumped dully in her ivory chest. She wasn't ready for this. Straining her muscles under the weight, she choked back a loud sob. The wail caught in her throat, she struggled for a moment, until the larger body was lifted off of her own, and she lay on the ground for a moment, her neck sagging with some invisible weight. Placing her front paws firmly on the ground, she sat up slowly, her face turned away from the fellow Johtaja, her strange colored eyes staring at the ice. Closing her eyes, she flattened her ears. Those were the exact words she didn't want to hear at this particular moment in time. What was there to talk about? She knew what he would say, so what was the need? There was no need for him to say a word. His eyes, his figure, his everything showed what he would say. Turning to look at him, she stared at him blankly, her maw tightly shut on the words that wanted to blow free. Ross looke dat Zanna, frowning a bit. "Listen, Zanna... You remember Fiacre?" He began awkwardly, sitting down beside his friend. "Well... we went from enemies to friends, and from friends, to, well, more than that." The male cpnrinued, looking Zanna straight in the eye. "And... I love her, but, I knew I needed to let you know first." Noticing her silence, Ross, frowned and pressed close to the snowy white female he knew well. "You understand, don't you? I'll still be your friend. I'll never leave you. I'm not like those humans." He said, knowing about her past. Fiacre's cranium landed in a light thud as Ross' paws slipped from beneath her muzzle and parted from her side. Calls like a bird rang from his vocals and vibrated within her lobes. Folding her auds back into her skull, Fiacre's neck stiffened as she lifted her cranium from the frosted ground and turned it slightly to catch a glimpse of the brute. He had left her without a word, departing into the undergrowth after the snowy white fae. That fae had him on a string, bound to her and tugging at him whenever she pleased. A soft scoff escaped the onyx hued wolf as she observed her companion vanish from sight. She was winning, that mutt. Wretched albino crow, Fiacre growled lowly as she thought. Arching herself outward, her back bowed into a curve as she stretched out along the rocks. The deceiving beauty, a pure being sent from the depths of darkness, just waiting to snap, her thoughts continue to spin around the white coat that seemed like a mockery to the canine race. One swift bite and the abomination would be gone, called a voice in a murmur on the light breeze. If only life was that simple, Fiacre hummed softly as she thought. There are complications now, a queer idea for them to affect me. A portion of the onyx wolf awaited a reply. She had nearly forgotten the voice did not reply to her thoughts, her ideas had to be spoken aloud, but there was not enough time for such nonsense. As she had discovered, her own vocals could drift on the wind to those nearby and the last thing she desired was a quarrel with Ross. However, a bicker with that fae, Zanna, the pleasure it could provide, one wrong move and the aboni- … Games had fallen off the table, she could not kill that creature yet. Ross would disapprove, not only that but there was a connection between the two. The small fae stared at Ross incredulously. She had known he would say such things to her, but now that she heard it, she found herself unwilling to believe it. How had they gone from enemies to friends at all if they had always loved each other? She had seen it in their movements. They had loved each other as soon as she had seen Fiacre, perhaps longer than that. Enemies. Friends. More than friends. How had that even been possible? Staring at Ross with a surprised face, she said not a thing to him. But she stared, and that was all. That was all she wanted to do. Stare, and say nothing. Ross frowned. "Zanna?... He was afraid he had hurt the female. "Did... did I do something wrong? Do you really not want us to be together?" He inquired, tilting his head. The small white fae turned her face to the side dismally, willing herself to not answer the question. What need did she have to answer the question? It didn't depend on her survival in any way, she could live without him helping her. They didn't have a big pack like other people, so she could just become that loner she had once been. With a sudden burst of anger, she whipped her head toward him, her bi-colored eyes glowing with a fire of rage such as she had never had. Oh, she had been angry before, but never like this. Ross was the one making her an outcast, wasn't he? "Aye!" She seethed. "Gonnae no’ dae that! Ah umnae thon dighted. Aye, ye ge clyping. Ah didnae ken ye coult be a wee wean! Ah willnae ge noo to seit ye! Naw, I'm fair puckled." Then, with a few gasping breathes, as she had not breathed a good deal during this, she stood, nodded to him in a sort of saluting gesture, then walked away a few paces, determined no matter what, to stay put. Gonnae no' dae that! : Don't do that! Ah umnae thon dighted: I am not that daft; stupid. Ah didnae ken ye coult be a wee wean! : I didn't know you could be a small child! Ah willnae ge noo to seit ye! : I will not go now to suit you! Naw, I'm fair puckled. : No, I'm very tired of speaking. Ross blinked at the females rage in her tone. "Zanna?... I thought..." The male shook his head. Was it worth it. If she didn't want to see him happy... "Then you never really were my friend." He finished the sentence softly. His head was bowed and eyes dark. He turned away and headed not towards Fiacre, but to an unexplored part of the forest. He growled loudly. He should have known he was not wanted here. Did Zanna just want to use him? Did Fiacre? The questions struck him like a blow. Was he just their toy to toss around whenever they pleased? Laying stretched out, the obsidian pelt adorning her blended in with the shadowed surroundings. She could not tell if it was night or the early hours of dusk. The fine detail did not matter much but it helped pass the time. Only moments ago had he dashed off after the snow white abomination beauty, and had yet to return. The countless seconds seemed to drag out for seemingly hours, and the only sound that reached her lobes was her own steady pulsing heart. What if the witch had charmed the brute? Fiacre's nose wrinkled at the idea of the snowy fae weaving her own web of games, those games that she would not tolerate. More than anything Fiacre yearned for the fae to disappear in a puff of smoke, then Ross would be hers only. In a sharp movement, Fiacre rolled onto her paws to feel the cold rock replace the air beneath her paws. Spinning away from the black abyss leading into the den, the onyx hued demoness stalked into the woods. Her head bowed slightly, and auds swiveling back to fall into her skull. As she prowled into the foliage, the branches stretched out to claw at her skin. It was easy to ignore the light tugging pain of strands from her pelt being yanked out but the odd burning flame urging the demoness away from the den confused her. She had no idea where she was going, all that mattered was finding Ross. Inhaling his scent, the femme locked on and darted off at a constantly increasing tempo. In the corner of her mind she felt relief that his scent was not interlaced with that f the petty female, but the relief did not last long. Questions of his absence began to arise, something must have driven him off. Over the foliage the familiar multi hues of his pelt contrasted the white surroundings. Catching sight of him, the demoness's pace slowed but she kept it brisk to catch up to him. Uncertainty clung to her thoughts, for once she did not know how to approach him. "Ross," she whispered, slowing down once reaching his flank. "Are you well?" The white fae is tormenting him, chided a voice. It seemed the voice was right, why else would he have taken off without a word. In the depths of the brute's sheltered thoughts something was bothering him. The choice to discuss the matter, however, was up to him. Over the few days of being near him, the demoness had learned not to pressure answers unless she desired an unsought quarrel. Ross jumped as Fiacre jumped out of the bushes. Quick as a flash, he turned on her, eyes blazing and teeth bared. "I don't know. You tell me!" He snarled, hackles and neck fur rising. "Tell e, Fiacre. Am I just a toy you and Zanna feel the need to toss back in forth in a little game?" He hissed, seething with rage. He need answers, and he wanted them now. "Should I really trust you? With my life, with my feelings, with anything?" He asked, beginning to pace around the female, his ears flat and his eyes filled with menace. His life was always so confusing and full of dread. Was this just another stage? How would he know if Fiacre would leave him, and then Zanna? The male had had enough of the heartbreak. He was done. His greeting, so cold, so filled with fury lashed through the frigid air. The anger of one betrayed, of once so close to giving up was not uncommon to the demoness but the fury from him was not expected. Her own blade of fury did not collide with his. Instead she stared blankly at Ross, no emotion crossing her face. A point of view had been fixed upon her, would he ever see her differently. The title of an unfit socialist would forever remain embedded within the brute's mind. His impression upon her was fixed, perhaps she could change it with a bit of weaving. Fiacre caught herself mid thought realizing this was the very thing that the brute was speaking of. However, she did not see it to be her fault that his world was shifting to accommodate more than one individual, but to pin it upon her was a whole other matter. "In my eyes you are not a toy, I have tried to be cautious; to speak with you as an equal but that does not seem to work," Fiacre spoke with an fine edge of anger seeping into her tone. "The choice to trust, or not to trust is yours but know that I have placed by trust with you." The demoness observed the brute encasing her in a slowly revolving circle. It did not seem her heart could be placed with him, the longer she heard his voice chime with fury the more she doubted her choices and yet she was still here. Some emotion festered within her, causing her to feel like a rope had been tied around her heart. Each time she parted from the brute the noose tightened, suffocating her but when she was near it ceased to exist. Ross listened as Fiacre spoke, slowing to a halt. For a moment he didn't move, just stared at Fia through narrowed eyes. He suddenly lifted his head, anger giving away to confusion. "What am I doing?" He asked himself quietly. "I'm sorry, Fiacre. You shouldn't be in my line of anger. It's Zanna..." He apologized, sitting down and wrapping his tail around his paws. He looked at the ground, feeling cold to the core. His best friend had basically shown him she did not appreciate his choices. Were they even friends anymore? The male had always trusted Zanna, but it was now shattered as he thought in desperate confusion. Would he always live with this regret, or would their friendship be rekindled? The revolving case eased its tempo, slowing to a stop near her. He was but a mere stride away, a burning ember close to alighting into a roaring fire or dying into ash. Either way there was a stepping stone for him to take, leading him closer or further from her. Unlike the other situations the demoness held no control, her choices were bound to his own, her actions limited. Like the gentle roll of waves upon the shores his voice returned to its mellow state, pushing aside the faint flicker of pain within her that festered. She felt at ease, relaxed by his apology, but how much longer did she have befre he snapped at her like a rabid creature. Fiacre could see the pain within his mismatched optics, the agony branded into his facial features. As if pulled, she drew closer toward him seeking to bury herself in his pelt and ease his agony. What had she to offer him, her tongue was certainly not the softest offering since her words often created deeper lacerations than mending. Pressing against his flank, she brushed the side of her muzzle against his lower neck. what matter could possibly sever her from you?" If only she felt overjoyed, the emotion pictured for this moment but it did not arise. Instead a heavy weight pressed against her heart, tying her down to him. or perhaps head off to distract you?" Ross dug his paws into the soft ground, hardly aware of Fiacre's close presence. "She's my best friend." He explained through gritted teeth. "And I need her. I've known her for so long." He shook his head, trying to clearhis mind. "I guess I should just distract myself. No need to dwell on the mistake you can't seem to fix no matter how hard you try." He sighed, resting his head on Fiacre's for a moment. "What should we do?" The male inquired, silently inviting her along, hoping he wouldn't be by himself. He had been by himself to much lately, at least that's what Ross thought personally. The air seemed to flow with anger and betrayal, and it felt so cold, it ripped through fur mercilessly. The clouds seemed to be heavy with the scene they had just witnessed, and they darkened with sadness, letting go their tears, which froze in the heavens. They floated down slowly around a small white body, sitting, but hunched at the shoulders. The flakes could do nothing to make her see the wrong she had done. In their own vexation, they began to pelt her, and they came down in bunches. It was now as though a fog had come down, a thick, heavy fog. Everything was monotonous to the she-wolf. Everything was ruined. The world held no beauty, everything could have been coloured grey for all the young white female cared. It would have made no difference. While she had been watching her friend disappear, she felt despair fill her heart. What had she done? Her pride filled her was disgust for her very life, and she choked on it as if on the feathery crystals that stormed about her. It still stunned her how her feelings could take over her body and her very mind. Filled with emotion, she slumped to the ground. What now? She thought she might as well just die. Who could care now? There she went again! Thoughts of suicide. "Ye wean!" she snarled at herself. "Haud yer wheesht!" she knew what she had to do. She would go say sorry. Turing, she began to creep through the snow, but she could hardly see. She strained her eyes as to see through the thick veil, but it was to know avail. It was simply too thick. Taking a few more careful steps, she hoped she was going the right way. But that made her suddenly freeze. But what if she wasn't? Fear rose up into her throat, and she felt claustrophobic. Breathing deeply, she dared to take a few more steps. It seemed fine. Panicking, she walked some more. But it was bad a move. She shrieked as she began to slide abruptly. Scrambling against the snow that was falling in a small avalanche, she could feel the cliff edge at her back paws. She felt her heart pumping furiously as her adrenaline drained. Letting out a terrified and earsplitting scream, she toppled off the cliff edge, a 'deluge' of snow following behind. Then she hit the cliff, about 20 feet below where she had fallen from, and the snow covered her in its cold clutches, much like a deathly blanket. Ross whipped around as a high-pitched scream pierced his ears. "Zanna!" He yelled, racing off towards the feminine noise. "Zanna! Zanna? Where are you?" He called desperately when he reached the place of the collapsed snow. He began digging frantically, searching for her scent. Next thing he knew he was sliding, landing twenty feet below where he was originally. "Zanna?" He said, seeing the battered and bloody body of his friend. "Zanna! Please say something." The male said, his voice shaking. "Don't die on me, Zanna. I'll do something, I promise. I'm working it out, ppease just don't leave me." He whined to the snowy white fae, looking around desperately for something to help her. “What should we do?” His final words that lurked in her thoughts. They were not alone, never alone, another voice was humming with joy at the potent evil it desired to create. The demoness was only the shell, the weapon wielded, [/i]manipulated , by the cruelty that lurked. She yearned to accomplish whatever the voice asked but now that whole idea was challenged, she had to ignore it. The very idea was met with agony, but she was forced to make a choice in order to draw closer to the brute- her brute. Sharing was not a quality the demoness became accustomed to, unless it was slaughtered prey, but splitting time with that vile white furred creature. 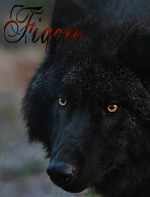 The very thought caused Fiacre’s upper lip to curl in disgust at the excuse for a wolf. No one could see this plain hatred, no one was around. Ross certainly would not be pleased to see this side of her, and it would never become apparent to him. He would leave her if he saw, he would depart from her side to join the vermin. but you are making yourself weak. It could not be true, not a fiber of weakness could taint her shell, lace itself into her soul…A rusty aroma of blood drifted upon the breeze, an unmistakable rich scent belonging to a wolf. Ross? No, it could not be, anyone but him. In a single surge energy latched itself into her limbs, forcing her paws to move without her conscious use of them. Panic that engulfed her a moment ago resided back into the depths of her core where it belonged, it was a weakness she could not afford. Around her the barren forest blurred; dark tendrils united with the shadows, and branches laced with the feeble growing undergrowth to create a sturdy barrier. Pushing on, thorns caught her pelt in a stubborn final attempt to stop her, but she was flying, gliding over the terrain. Pain was just a warning, not something that could prevent her now, nothing that held power over her. Tuning it out, darkness and red intertwined at the edges of her vision, obscuring her view. She had to make it, make sure he was fine, make sure he was breathing. What if he has passed? A growling voice inquired with a snicker. Fiacre paused for a moment before replying to her companion. That was the first thing that the young Scottish female thought when she returned to consciousness. Her eyes rolled in their sockets, searching the stygian image that had engulfed her in its impenetrable grasp. There was absolutely nothing to see in that melancholy midnight setting. But then an idea struck her. Was the world so dim as this? Her white eyelids opened gradually, the bicolored irises flashing in the sunlight. She blinked once. Twice. Three times, just to be sure she was truly not on the snow covered hill she had been on before, sulking about Ross and Fiacre. But that all seemed so distant now. She felt as though she had arrived in a new dimension, and just in time for a hurricane. The long grass around her swayed madly, the harsh north wind their guide and they tossed them forward. Leaves bustled past, pelting Zanna in the face with their dried bodies, and they shattered on her muzzle. The thick pines all around swayed wildly, their branches brushing against one another and creating a loud, scraping noise that after a few moments became very annoying and was enough to fill a whole group of wolves in a deep sense of apprehension. Over the years, it seemed the landscape had been made abrade by the constant wind that never missed a single breezed and neither slowed by a single second. The female struggled do her feet, each limb screaming their vexation in turn, their voices then joining in unison as she stood on all four feet. She winced, breathing in sharply. Standing there for a moment, just to accustom her legs to the thought of standing erect. Then the pain numbed somewhat, and she stared around her in wonder. "What is this...?" She gasped, turning as fast as her painful limbs would allow. Whose voice had that been? But there was no one there. She felt her heart beat faster. "Hello?" she said quietly. Then she screeched with surprise. That had been her voice!